Out of curiosity,anyone playing Magic the Gathering? I mostly mess around in Forge.Great automated program for the game. 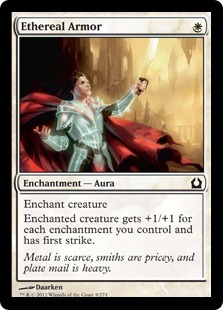 Re: Anyone else playing MTG? I play the card game, though haven't played any computerised versions of it. Favourite sets: Homelands, Ravnica (and Return) and the Un- sets. If you have time,give Forge a go,its pretty light. JFF,here are the two decks Im playing. Idea being to throw down a cheap hexproof creature and enchant the hell out of it. 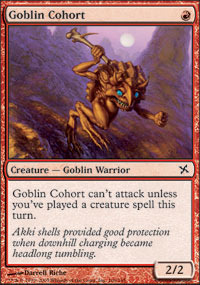 And the ever classic goblins,which really doesn't require an explanation.You try to kill people.Fast. I play the paper version, mostly on a casual basis. 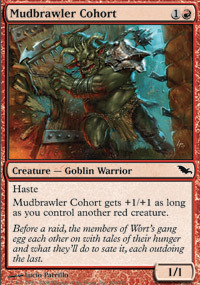 I've got all sorts of decks, although only one that's really competitive (Modern mono-green Infect). 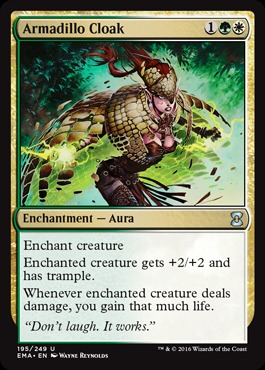 Currently I'm tuning a Standard cycling deck and playing happily with a standard RG trample concoction. 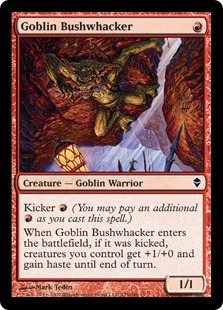 Sometimes dip my toe into EDH. Trying to make Mazirek Eldrazi work, and so far failing. 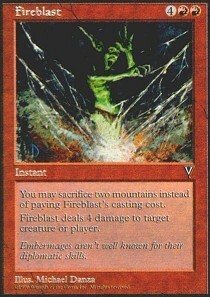 Heh, Crucible of Worlds is a seriously costly card, but if you can afford it that's a great combination. In paper I stick to Pauper,like I said. Also,I assume your going with something like Westwale Abbey/Spawning bed/Foundry of consuls land lineup? Because I've gone for an Eldrazi sub-theme I'm also using Eye of Ugin, Eldrazi Temple, Sanctum of Ugin and Shrine of the Forsaken Gods in the mana base. 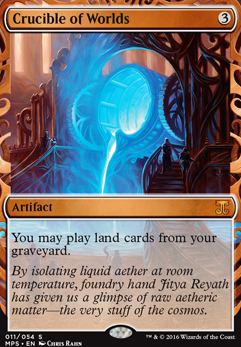 That seems to be standard for Eldrazi from what I saw.Sea Gate Wreckage is also popular,but that might be too much colorless stuff going on. 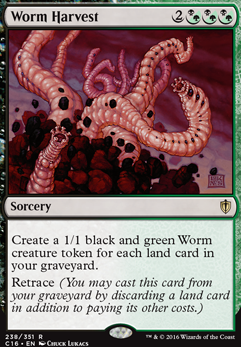 A friend of mine runs an reanimator variant of Eldrazi in Pauper and it works fairly well. I think I have my new commander. I've picked up Feline Ferocity myself. Nabbed a Lost Leonin for 10p to put in it. Quite pleased with that. 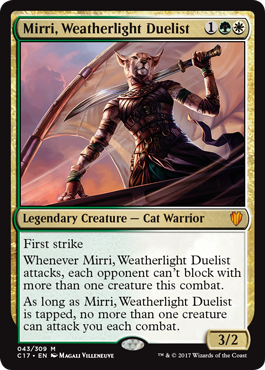 Im not sure if I will finish it however,I dont really have anyone to play Commander with.And Mirri is no use to me in pauper,so...Im out of ideas. I cant wait to build a dinosaur deck.